Second only to property taxes and tied with individual income taxes, sales taxes are one of the largest sources of state and local tax revenue, accounting for 23.5 percent of total U.S. state and local tax collections in fiscal year 2015 (the latest data available; see Facts and Figures Table 8). While most states levy a statewide sales tax and allow the collection of separate sales taxes at the local level, four states levy neither a state nor a local sales tax: Delaware, Montana, New Hampshire, and Oregon (see Facts and Figures Table 19). Meanwhile, eight states levy a sales tax at the state, but not the local, level: Connecticut, Indiana, Kentucky, Maine, Maryland, Massachusetts, Michigan, and Rhode Island. Alaska is the only state that collects local, but not state, sales taxes. 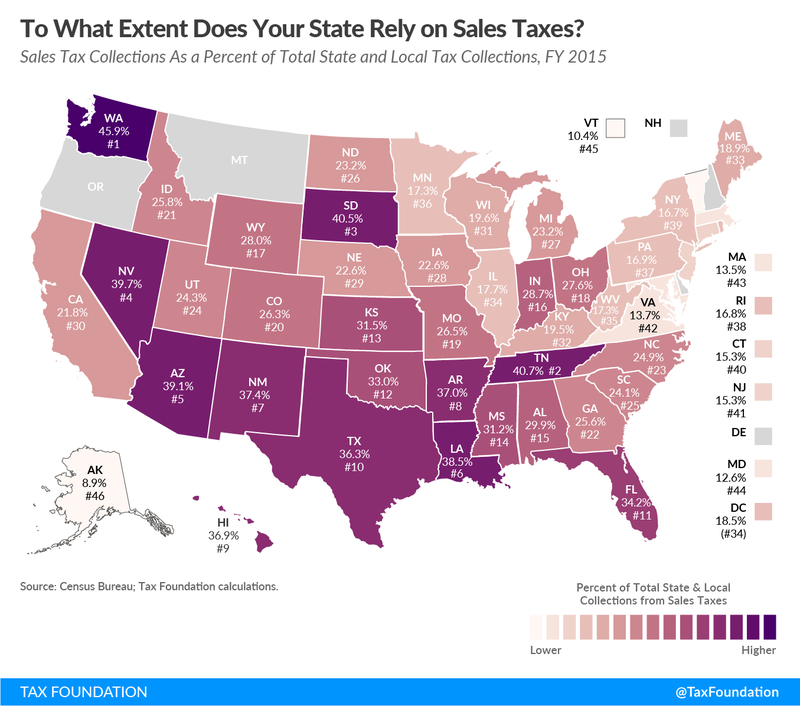 Sales tax reliance by states can be bounded by many factors. States that border low-sales tax or no-sales tax jurisdictions often struggle to levy high rates lest consumers shop across the border. Another consideration is the tax base: the transactions that are subject to the sales tax. Public finance experts generally argue that a sales tax should apply to all final consumption, including goods and services. However, in practice, many states fall short of this ideal due to historical accident or willful exemption of certain classes of goods for political reasons. 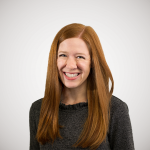 One thing to look out for in the near future is how the application of the U.S. Supreme Court’s recent decision in South Dakota v. Wayfair will impact state reliance on sales taxes. The Court’s decision that states may subject online purchases to sales tax will have a broadening effect on state sales tax bases and could increase their attractiveness. Still, some significant base-narrowers exist in many states, as lawmakers continue to carve out exemptions for groceries, prescription medications, and other purchases. The best solution to maintain a sales tax that acts as a robust collector of funds for government services continues to be to tax all final consumption at one low rate.